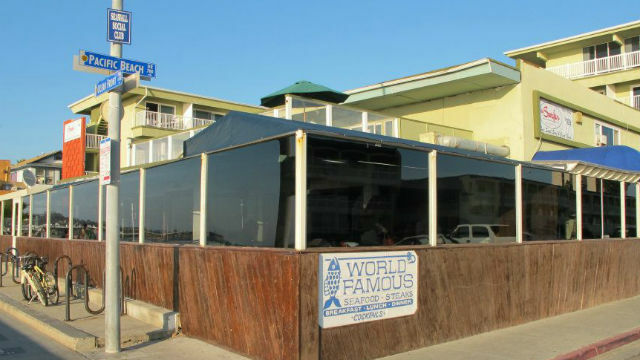 Customers and employees of a seaside eatery in Pacific Beach may have been exposed to hepatitis A over seven days between late August and Monday of this week, but the risk of infection is small, the county Health and Human Services Agency reported Friday. Sunday and Monday of this week from 3 p.m. to 11 p.m.
County health officials stressed that there is no known risk of hepatitis exposure at the restaurant now or on other dates. Wooten said the early signs and symptoms of hepatitis A appear two to seven weeks after exposure and commonly include mild fever, loss of appetite, nausea, vomiting, diarrhea, dark urine, light color stools, pain in the upper right abdomen, and yellowness to the eyes or skin — known as jaundice. Someone with hepatitis can be contagious to others before they develop symptoms, according to the HHSA. The county’s North Central Public Health Center will have special hours Saturday, from 10 a.m. to 2 p.m., to administer hepatitis A vaccinations. The center is located at 5055 Ruffin Road in Kearny Mesa. Wooten said it’s too early to tell if the restaurant case is linked to the current hepatitis A outbreak, which has sickened 421 people in the region since November, 16 of them fatally. Around two-thirds of those who have fallen ill in the outbreak were homeless and/or users of illicit drugs, she said.